I’ve been needing some basic woodworking introduction help for some time. (Things like sharpening my saws, what planes are appropriate for what jobs, etc.) I was reminded by tjic that he runs (among other things), smartflix.com – a how-to DVD rental store. 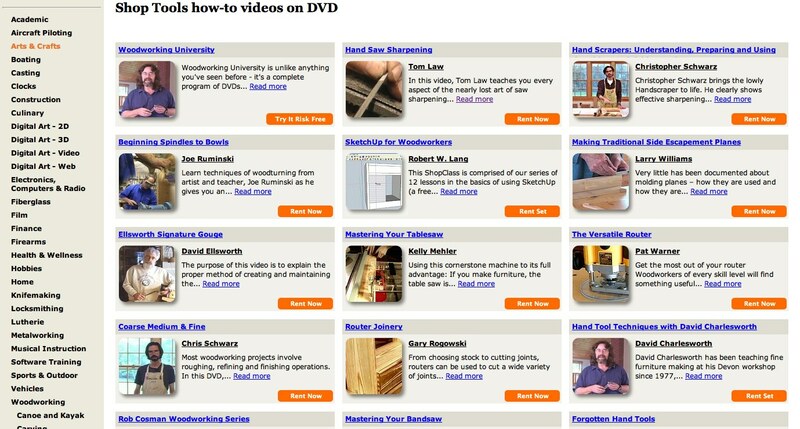 In about 45 seconds, I found three woodworking DVDs I wanted and snagged them. (Actually, I *want* all of them, I just chose three to start with.) I’m excited for them to ship.